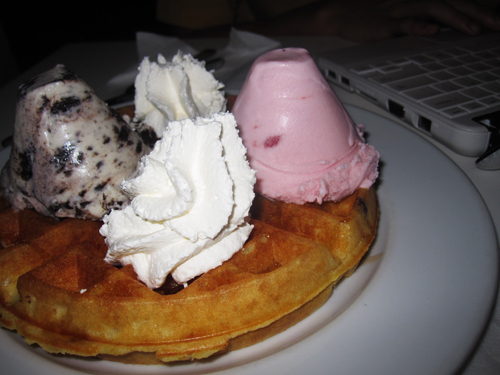 Gelare waffles from afew tuesdays back! At first i thought it was the real ris low i was quite impressed at how entertaining she is. Until i read the description and it wrote that it was a parody done by someone else. Chey. From STAGES: Chestnuts Does Christmas! Written by Jonathan Lim, this spoof of Ris Low (played by Judee Tan) parodies her exploits in 2009.